In the run up to the festive season, it can be a time when more and more of us are looking at what we can do to help others. ‘Tis the season to be jolly, as well as the season of giving. From gifts to our neighbours or donating to our local food bank, there can be all sorts of things that we can do to lighten the load for others, especially at Christmas. But when money can be tight, how can you give without really have to spend more and more of your own money? Of course, your time is something that can be given. This is something that has come to me more and more as I get older. Since Max has started school, I have been helping out in various ways at school. From going in to read with his class, helping at forest school or volunteering at the Halloween disco, there are lots of ways that I can give my time to help out at the school. But sometimes, your time can only go so far. It is great when the PTA are looking to raise money for something specific and doing a fundraiser. But sometimes, some extra cash is just what you need to get smaller things for the school, like some balance bikes for early years or getting the climbing frame maintained and updated. Max goes to a small village school where outside space is limited. It has been something the PTA have been looking to improve as funding for schools gets reduced more and more. But constantly asking parents to reach into their pockets can get tiresome. Which is where easyfundraising.org.uk comes in. You can register your school on there, and then every parent that signs up and shops online can raise money for the school by going very little. It doesn’t cost you anything extra, but by going through easyfundraising you get a donation of the cost of your sale give to the school, depending on which retailer you choose. You can register most things on there, as long as it is for a good cause. Things like Scout Huts, and Air Cadets to Zoo trusts are all examples of organisations that can register on easyfundraising. But to collect gift aid on any donations, then you do have to be a charity, registered with the HMRC. I must admit that I had not signed up to it until recently (despite having heard about it last year when Max was in reception). I can’t believe how much I had potentially missed out on. Since I signed up, only a month ago, I have been able to donate £43.48 to go to Max’s school, just buying the things that I will be buying anyway. One was an Ocado food shop, two orders from Next, I bought a new mobile phone, I changed my broadband, booked some airport parking, and my latest purchase was some Christmas gifts from John Lewis. So as you can see, there are a huge number of retailers that you can use and you can get some pretty good donations back. Having been at the most recent PTA meeting, I know that there were some smaller things that the school wanted to buy (things like kinetic sand for classrooms and some mirrors for the outside space). These are low value items and I’m pretty sure my donations through easyfundraising will have pretty much paid for the kinetic sand, for example. All for doing something that I would have been doing anyway, and not having to reach into my pocket to pay for a non-uniform day, for example. I am so impressed and pleased with how simple it really is. It is exactly like it says on the tin; it is easy fundraising! If your school isn’t using this at the moment then I would strongly recommend getting on it. It is simple to set up and then you can have it steadily raising money for your school in the background. Of course, you can sign up to this yourself and choose a charity of your choice as your cause if you’d rather. But while I have school children, I think that this cause will be pretty close to my heart. 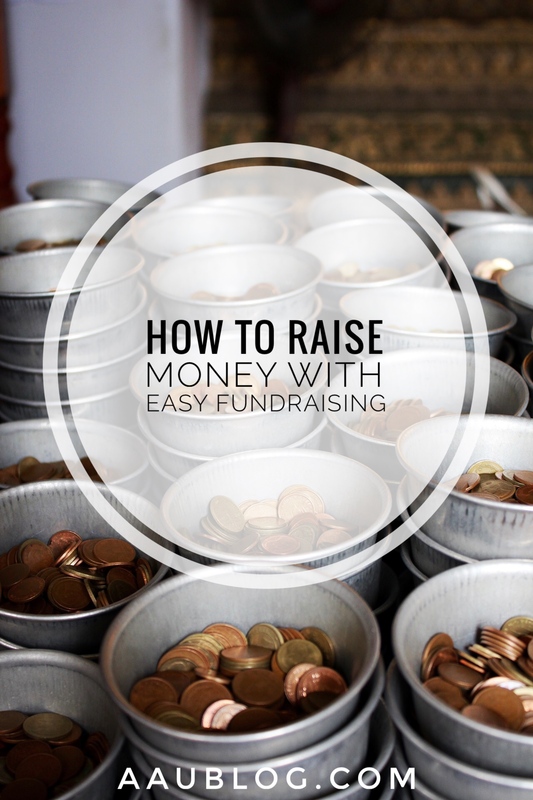 Have you ever heard of easyfundraising before? Would love to hear what you think. *post in collaboration with easyfundraising. All opinions are my own. Hey, this post is very interesting to read. Yes we can raise money for our school. We can choose a charity of our choice as per our cause. Thank you for sharing this article.